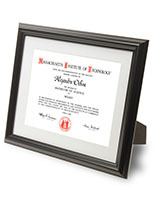 Silver Document Frame for Table or Wall | 8.5" x 11"
3.5" x 5" / 5" x 7" 4" x 6" / 6" x 8" 5" x 7" / 8" x 10" 8" x 10" / 11" x 14"
Silver Document Frame: 8.5" x 11"
This silver document frame is designed for displaying 8.5” x 11” photos and certificates in either portrait or landscape orientation. 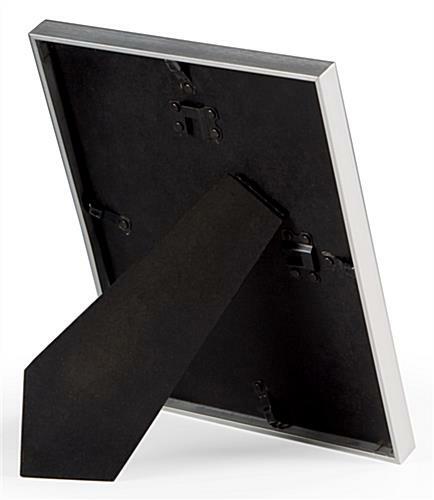 The two-way easel backer accommodates prints in either format. 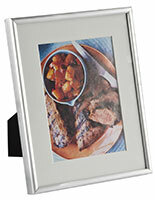 Wall mounting hooks are also provided for attachment to any flat surface. 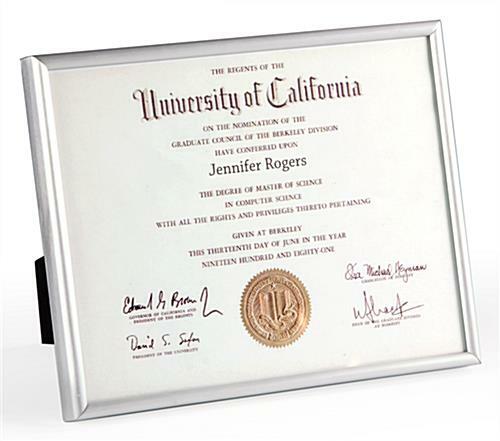 This silver document frame is constructed from aluminum and features a slim profile that focuses guests’ attention towards the signage or certificate on display. A standard, rear-loading design makes updating a presentation extremely easy. 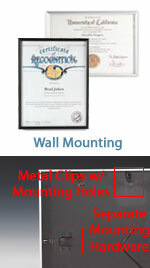 Four retainer clips keep the backer in place at all times, while the glass lens covers and protects important documents. 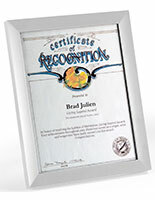 8.3" x 11.3" x 0.8125"
I was looking for document frames for certificates that our band boosters award to our band kids. 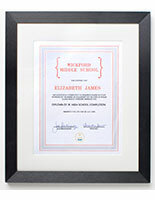 I was looking for frames reasonably priced and simply nicer than what I could find at the local craft stores. I am so glad I found this company and this product. I ordered a quantity of 50. 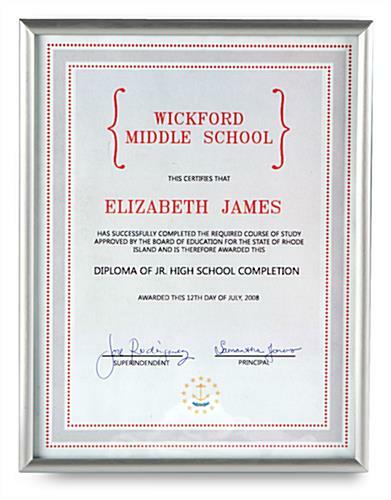 I echo other reviews stating that the product is carefully wrapped and packaged. 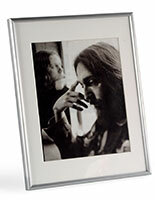 These frames are aluminum with glass, priced at what I'd pay at the local craft stores for a cheap-looking plastic frame with plexiglass. Out of the 50 that I ordered, only one arrived with broken glass. This was perfect for my needs and exactly what I was looking for. 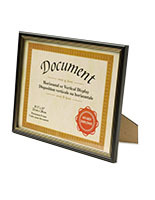 I highly recommend these if you're looking for document/certificate frames. Thanks for your positive review Amy! If you haven't already, please reach out to us directly (chat, email, phone) regarding that broken unit. 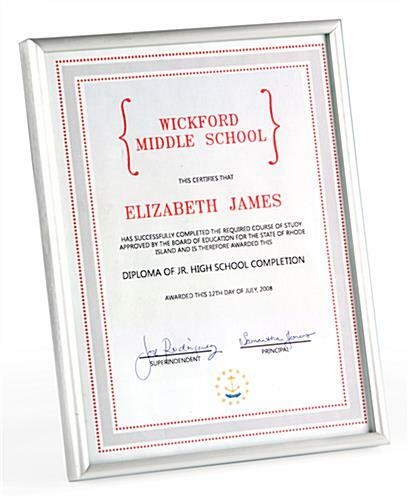 I have researched so many places for a certificate frame like this one. 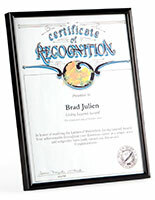 Not only is it great quality, metal and glass, the price was amazing, and the service was fantastic. I received them in just a few business days, and they arrived in very careful packaging. What a pleasant surprise!